SUNDAY BEST SCOOTERFEST 3 at Capel Manor, Enfield, Middlesex (near to THFC training ground off M25) is a must for enthusiasts of classic and modern scooters, vespa and lambrettas. There is a custom show, parts fair, live music, retro stalls etc.. a great day for all the family, re-live the 60s. BIG 10 ska covers band playing. 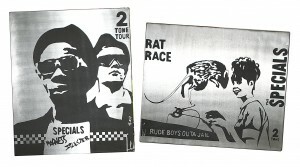 You are currently browsing the classic 2-tone graphics news archives for July, 2013.